We love intellectual property and fashion law around these parts, and there's been no shortage of news over the last week or so. Originally set to be voted on today, these federal anti-piracy bills were stalled last Friday, after a wide web of protest the day before. Sites across the internet were either taken down, or blocked out important parts of their page to take a stance against the legislative package gone awry. The bills started off protecting against the sale and promotion of counterfeit goods. This was positive since Fakes are Never in Fashion! It turned into an infringement of the 1st Amendment, over-policing online material. Clearly the protests of major players like Wikipedia and Google, the federal legislature slowed its roll. "I have heard from the critics and I take seriously their concerns regarding proposed legislation to address the problem of online piracy. It is clear that we need to revisit the approach on how best to address the problem of foreign thieves that steal and sell American inventions and products," Congressman Lamar Smith said. 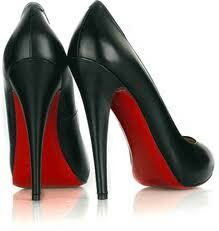 Fab shoe fave, Christian Louboutin is still in the fight to protect their trademark red sole against Yves Saint Laurent. 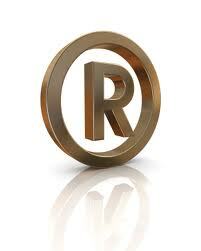 Oral arguments will begin today in what will be a fundamental case in fashion law and trademarking for the industry. If you're in the area, it'd definitely be worth going to watch! After filing a lawsuit claiming use of her likeness, Kim Kardashian is still battling Old Navy as parent company, The Gap, has filed their response. Attorneys are bringing up such matters as Kim's endorsements, lost endorsements, and even her ex-boyfriend dating the look-alike after she appeared in Old Navy commercials. Was Reggie confused, too? Reputation is a major factor and point of contention for public figures. It is equivalent to the technical skills many use in their 9-5s, so protecting the brand of your likeness is extremely important. We will be following this case to see how the ever-popular Kardashian camp comes out. Louis filed suit against Eisenhauer Market in San Antonio for contributing to counterfeiting. The fashion icon alleges the flea market allowed sales of fakes by their vendors, clearly promoting the infringement of the popular, swanky brand. LV says it's enabling; Eisenhauer says they can't babysit every vendor. Fast fashion retailer, Wet Seal has been hit with a trademark infringement lawsuit. Levis are not only the trailblazer for denim, but also world famous for the M-shaped stitching used on the back of their jeans. Wet Seal thought they could a pull a fast one, but the vigilant Levis is not having it. Wet Seal better make a last stitch effort to get out of this one! We will be watching these cases, and keeping you up on all things fashion law! Stay Tuned.